As we speak Disney’s Pixar are currently working on Finding Dory, the sequel to their 2003 hit, Finding Nemo. Finding Nemo had a production budget of just $94 million, and brought in an incredible $921.7 million in box office receipts worldwide, including $380 million here in the United States. There were reports that came up everywhere about Pixar executives changing their previously planned ending of Finding Dory, a decision some say was directly tied to a viewing in April of a little-known documentary titled Blackfish. SeaWorld is not pleased since the film delves into what may have caused a killer whale at the park to fatally attack a SeaWorld trainer in 2010. In fact, days before Blackfish‘s release, SeaWorld sent letters to critics saying their portrayal of business is deemed inaccurate. Blackfish is also set to make its debut on CNN a few months from now, on Oct. 24, which viewers will be exposed to the troubling documentary. The conclusion of Finding Dory was originally going to involve “some marine mammals” who were “sent to an aquatic park/rehab facility — a SeaWorld-type environment,” according to Louie Psihoyos, who directed the award-winning documentary The Cove. 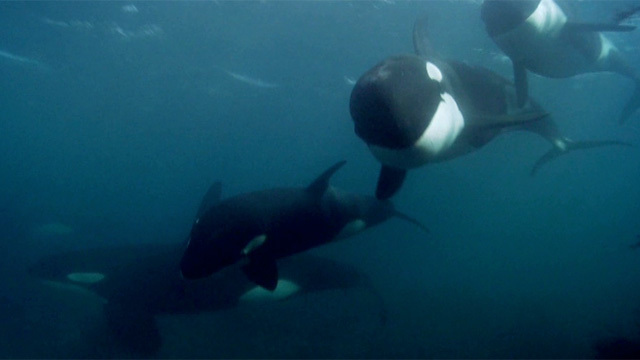 After viewing Blackfish, Psihoyos says, Pixar’s chief creative officer, John Lasseter, and Finding Dory director Andrew Stanton spoke with Blackfish director Gabriela Cowperthwaite, who helped them retool the ending to give said mammals the option of leaving the park if they so chose. Assuming these animals were injured in the movie or required care of such a facility, a great decision on Disney’s part to remain sensitive to any negative image– a SeaWorld image. This entry was posted in Uncategorized and tagged blackfish, dory, ending, finding, fish, nemo, seaworld by JNYFAV. Bookmark the permalink. Very interesting. I can not wait for Finding Dory! I’m sure that it’s going to be amazing! I’m very excited to Finding Dory and if it involves whales and things like that in captivity seems like it would be very interesting. And if it involves whales that means Dory may speak whale again! !